Green HDMI Cables are most suited for outdoor use meaning. If you are planning an outdoor event then you don’t have to worry about your HDMI cord green ruining the aesthetics of your lawn. With these HDMI cables green grass will work as a natural camouflage you don’t have to conceal. Green HDMI Cords come in various lengths starting at 1.5 feet and going as long as 15 feet to suit your specific requirements. 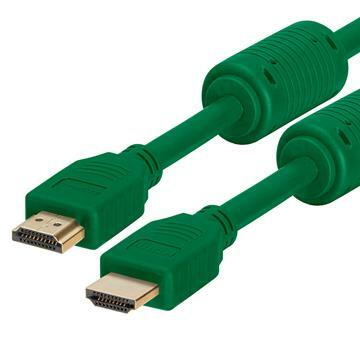 Try using a Green HDMI Cable to connect your outdoor projectors to your devices – without the cable standing out like a sore thumb!